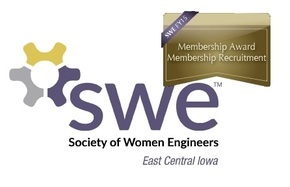 Take SWE Out to the Ball Game! 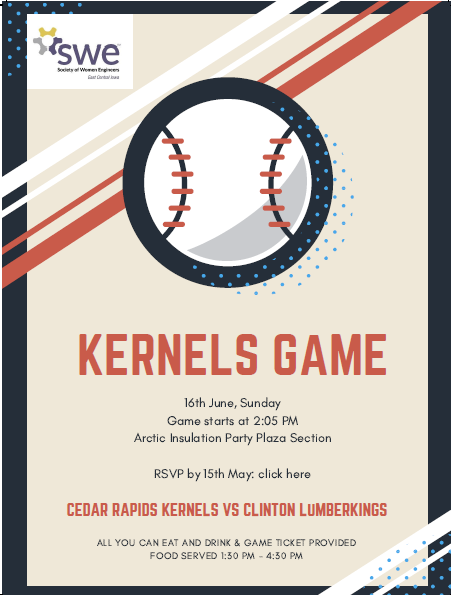 What: SWE-ECI will be having their end of the year celebration at the Kernels Game! Who: You and your immediate family! Bring those Dads to treat them to a great Father's Day with baseball and food! Cost: $15 per person + processing fee - for food, drink, and game ticket. Kids 5 and under are free! RSVP and purchase your tickets on Eventbrite by May 15th!